Autodesk's newest creation is a mashup of futuristic technologies GeekTech just couldn’t pass up. 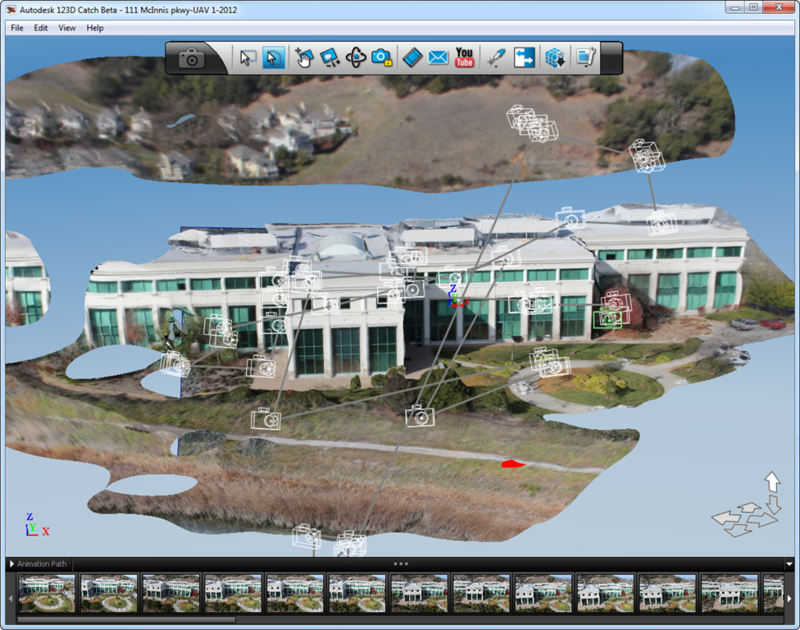 The company managed to create a full 3D model of its offices using photographs captured by an unmanned aerial drone. The project was a quick demonstration of what the company could do with its new 123D Catch software and the results are impressive. Using 123D Catch, users can take a collection of images of the same object at different angles and have the software automatically create a 3D model. So far the software has mostly been used to create models of much smaller objects, but Autodesk decided to see how far they could scale up the process by creating a model of their corporate headquarters and documented the process on the company blog. Autodesk created a short video of the whole process from drone launch to landing for you to peruse. In theory Autodesk’s method could be used by anyone with a camera to create 3D models of small objects in their home. If you’d like to try 123D Catch yourself, then you’re in luck: Autodesk has released the software for free.